This blog thing is a first for me, so I'm just testing things out. 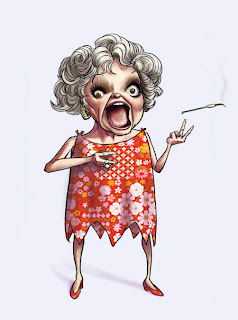 Here's a caricature I did of Phyllis Diller. I'm not too sure about the likeness but it was fun. Yeah, good likeness, and it's hillarious!